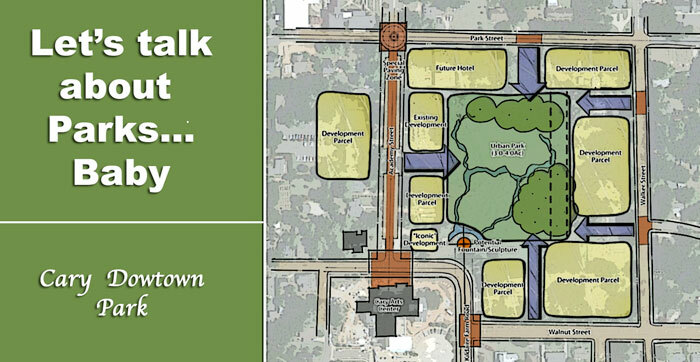 You have probably noticed a great deal going on in Downtown Cary lately. We have the installation of the two roundabouts, the restoration of “The Cary” Theatre, the restoration of the Jones-Foy House, and work going on to install a waterline. But it’s time for you to weigh in, as well. 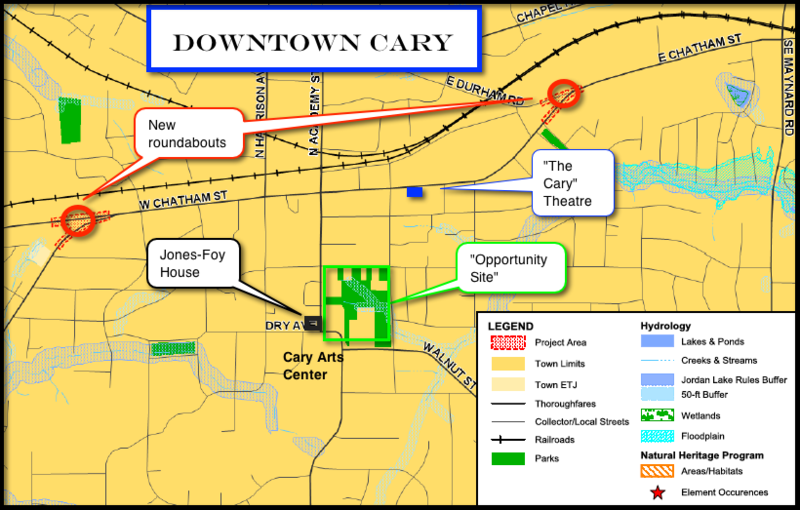 Across from the Cary Arts center is what Town Council and Staff commonly refer to as the “Opportunity Site.” Last year the town held a charrette to brainstorm and create a framework regarding the area – to guide how that piece of property will develop.